FILE - In this June 30, 2017, file photo, Pitbull performs in concert at Madison Square Garden in New York. GREENWOOD VILLAGE, Colo. — The performer famous for his rise from the streets of Miami to international super-stardom is set to return to the Centennial State this summer. Pitbull has announced a concert at Fiddler's Green Amphitheatre on Tuesday, July 2 with special guest Baby Bash. 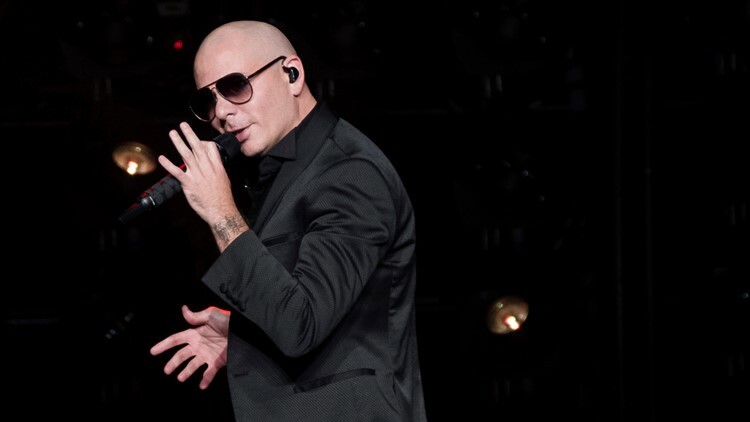 Tickets to see the artist known as Mr. 305 and Mr. Worldwide go on sale Friday, April 19 at AXS.com or by phone at 888-929-7849. Ticket prices range from $30 to $230. Pitbull is noted for his "relentless work ethic that transformed him into a Grammy-winning global superstar, business entrepreneur, education ambassador and motivational speaker," according to concert promoter AEG Presents Rocky Mountains. Pitbull currently voices a character in the new animated film Ugly Dolls. Pitbull attends "UglyDolls" Photo Op at the Four Seasons Hotel on Saturday, April 13, 2019, in Los Angeles.